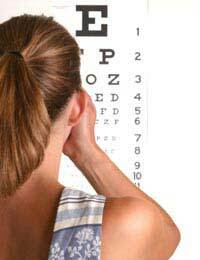 Opticians play an important role in helping people correct their vision problems. Where an ophthalmologist will examine a patient’s eyes and may work within a referral network with the patient’s physician, the optician ensures that eyewear is properly made for the patient. Opticians also help patients to feel more confident, particularly as they support the patient’s choice of attractive eyewear that can enhance their appearance. Opticians work very closely with patients, which requires that they have excellent customer service skills. You would initially be taking information from the patient to learn more about their lifestyle and activity levels, such as whether they spend a lot of time reading from a computer screen. Another thing you would have to consider is the fit of the glasses and the patient’s facial features. Measuring the patient’s eyes and ensuring a correct fit, both functionally and esthetically is another important part of an optician’s role. You would be liasing with laboratory technicians who take the order for the lenses and any special circumstances or requests that you outline after working with the patient. Another part of an optician’s role after is to ensure the glasses fit as intended with respect to the client’s facial features. Some opticians may, however, specialise in areas such as contact lenses. For patients who are new to contact lenses, you would also have to be patient and supportive in helping them get comfortable with placing the contact lenses in their eyes. With such a level of detail and data around each patient’s eyewear prescription, good record-keeping skills are essential for a successful career as an optician. Other areas of work may include accounting, sales promotion and inventory management. You should have excellent manual dexterity and a strong attention to detail. For those who do not want to invest in the time and cost of a typical university degree but still wish to work in healthcare, an optician career might be ideal for you. Most of the training can be undertaken on-the-job although there are still industry standards and regulations you have to meet to practice. There are certificate and diploma courses you can take that make it an easier transition to practice as an optician. With the demand for eyeglasses and contact lenses increasing, job prospects for opticians are excellent but remain competitive. Our ageing population will also continue to place a bigger demand on the production of eyewear and maintenance of vision. In addition, as eyewear is very much a fashion statement, this brings further value to the role of an optician. Earnings for opticians are stable and a starting salary is approximately £20,000 but can increase to nearly double with significant experience. Some opticians may also own and manage their own practice in cooperation with the other health professionals involved in eye assessment and eyewear production. There are many health careers to choose from today. For those who want a less lengthy time investment in education and want to work directly with patients, a career as an optician is a stable one that can bring many rewards.